He was the youngest old Gentleman ever. Happy in company of young minds to ignite and to bestow upon them wings of fire like his own. He was completely indigenous. 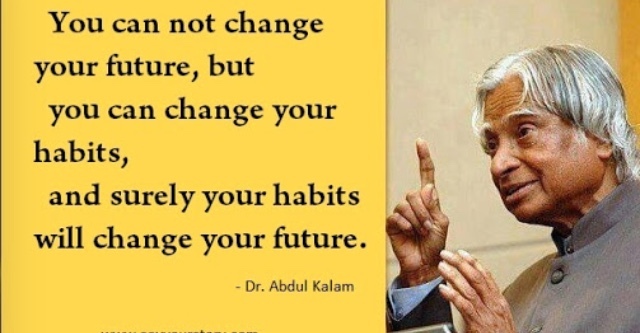 This great personality born in India, brought up in India, educated in India, worked in India, President of India and finally took his last breath for and in his own country India. His was a rags to success story. Achieving against all odds, The missile man of India , the People’s President, new Chacha of Indian kids with his inspiring speeches and books. He lived an all Indian dream. “Dream is not what you see in sleep, it is something that does not let you sleep.” He said. Utterly irreplaceable, He passed this world to the next the way only a true blue ‘Karmveer’ can. Doing what he loved doing, Educating. His aide Srijan Pal Singh, in a moving tribute recounted last day spent with him, on his way to IIM Shillong. When Dr.Kalam was so disturbed by the sight of a security commando standing guard for him in a moving jeep ahead of them. Dr.Kalam looked for him later, found and thanked him for standing for an hour for him. The commando rightly replied to this rare VIP gentleman with, “I can stand even six hours for you”. Rare are those who are blessed with so much care, compassion and empathy in their hearts for others. More extraordinary are his feats considering he was from a poverty ridden background and that too from a minority community. He had every excuse, every reason to be an embittered individual. To find blame for his could have been failure in other more fortunate, government or society as even the well heeled are prone to. But great people like him, rise above the biggest obstacles in their path, taking them in their stride rather than making big deal out of them. “Man needs his difficulties because they are necessary to enjoy success.” Said he. Instead he chose to work on his strengths and rise above the poverty surrounding him to be able to get in the position to help the poor and downtrodden. Truly the People’s President. Not only The missile man but A great personality and A gentleman. Posted on July 30, 2015 February 16, 2017 by sushme2015Posted in InspirationalTagged APJ Abdul kalam.